Absorption performance is achieved with beauty and innovation. Acoustic Series is designed to achieve performance acoustic requirements, using a variety or perforations and backing systems. Acoustic Series is ideal for controlling sound absorption in a performance requirement environment while achieving harmonious, natural aesthetics in wall or ceiling coverings. 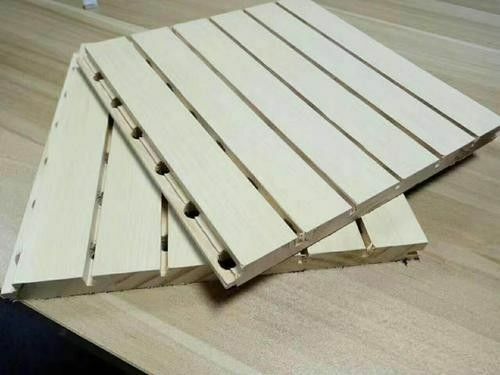 The wooden grrooved acoustic panels are the most sustainable, wood, classified, panels in the world and can achieve the highest performance, ideal for any interior design. A huge range of surface finishes, colors& hole patterns, (visit website for details), including innovative grooved facings with excellent sound absorbing performance. Excel lent Sound Absorption &Reverberation Control for Schools, Lecture Theaters, Auditoriums, and most public spaces. Exceptional High Impact & Durability for Sports Centers, Workshops, etc. Interlocking "invisible" panel edge treatment. Supply & Install service by Colombo if required. Can be manufactured to custom requirements (subject to order size). 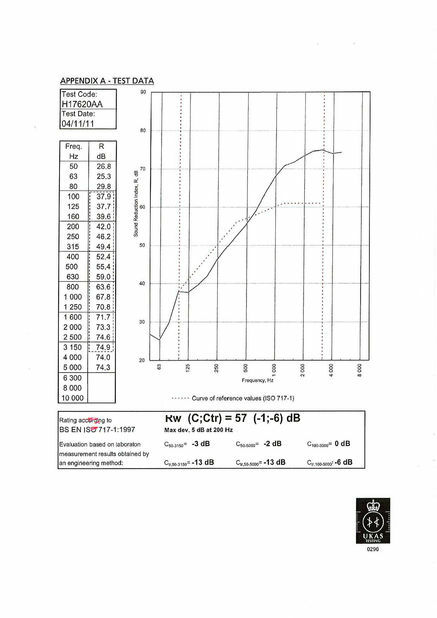 1.All acoustic ratings are based on the panel itself in a controlled test lab. 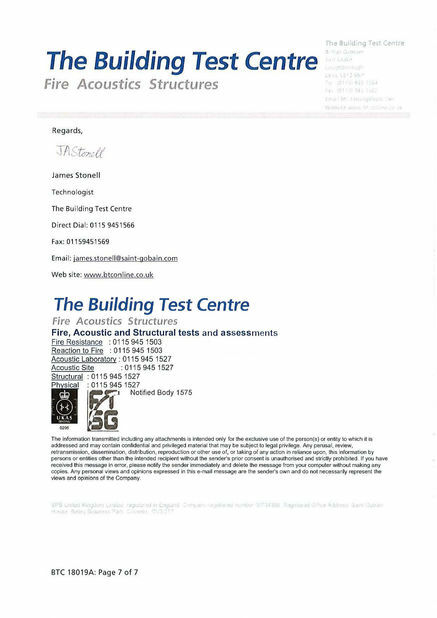 Any special conditions may require independent testing to ensure the requirements of the acoustic performance are met. 2.Special acoustic requirements can be achieved by custom acoustic assembly systems. 1.All products are finished with premium finish treatments, designed for the materials. 2.Standard finishes include closed and open pore options, matte, and semi-gloss treatments. Special finishes are available, please inquire. 3.The interior finishes are environmentally friendly and can contribute to a projects LEED or other environmental certifications. Please inquire. 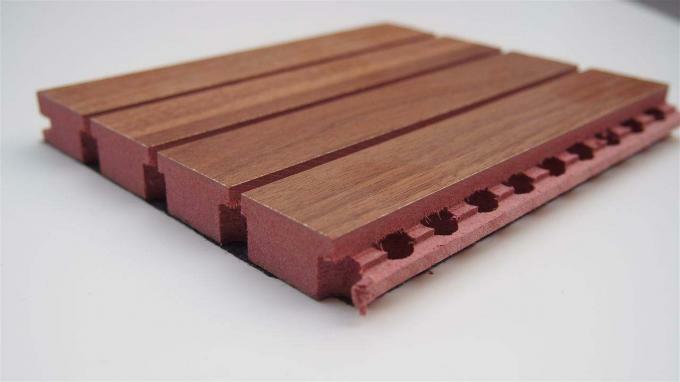 Suitable for walls and ceilings, the mounting system is tongue and groove. The linear joins are invisible and the transceiver are almost invisible as joins and large dimension plates are used. The roof assembly must be taken special care to ensure cross-linked of aluminium structure. When practicable areas are required, they should be taken in consideration at the moment of the installation. 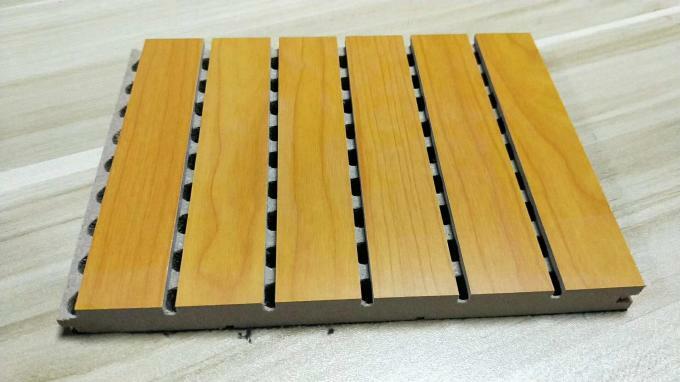 Groove Wooden Acoustic Panels are suitable for almost every application including use in meeting room, schools, studios, theaters, offices and commercial buildings.